Canadian bishops bestowed upon Saint Brother André the title of Patron Saint of Family Caregivers in Canada on September 30, 2016. Such devotional title reminds us of the very strong bond that unites him to the sick and those who dedicate themselves every day to their well-being. This decision rewards an initiative undertaken by the Regroupement des aidants naturels du comté de L’Assomption (RANCA) in the Fall of 2010, just a few weeks after the canonization of Brother André. 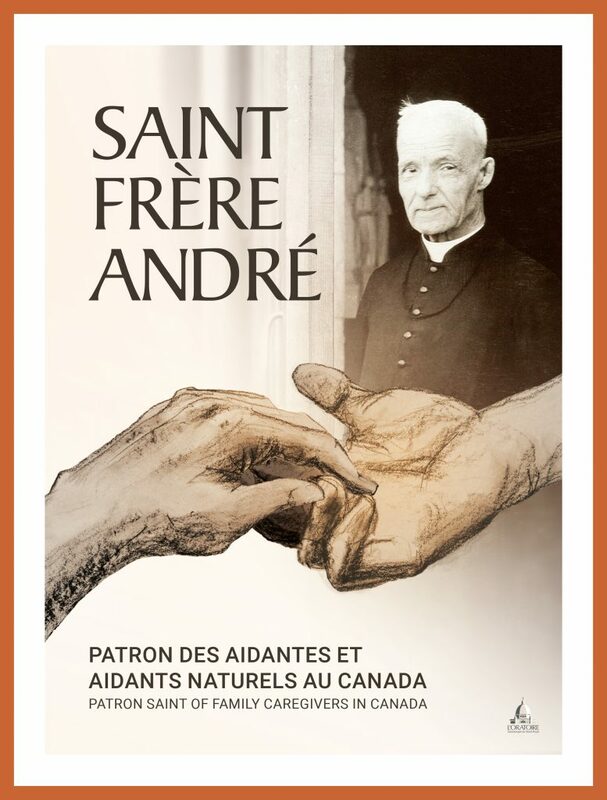 The Regroupement’s coordinator, Ms. Caroline Vadeboncoeur, had met with Father Mario Lachapelle, CSC, to express her desire to see Brother André recognized as the Patron Saint of Family Caregivers. To lend support to her request, she resolutely started a petition, collecting thousands of signatures, many of them from pilgrims at Saint Joseph’s Oratory of Mount Royal. The request was then submitted to the Canadian Conference of Catholic Bishops (CCCB) which suggested that this devotional title may be a way of helping, encouraging and supporting families and friends who take care of their sick and dying loved ones. be my patron saint and guide. the person under my care. Clear my mind when it is time to make important decisions. so that everything takes place with respect. 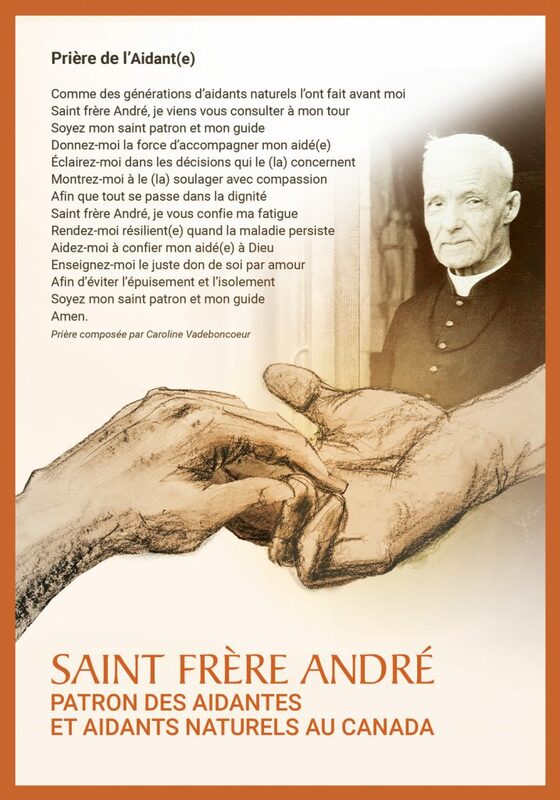 Saint Brother André, I surrender my fatigue to you. in the face of long-term illness and suffering. Help me to place my ailing relative in God’s hands.